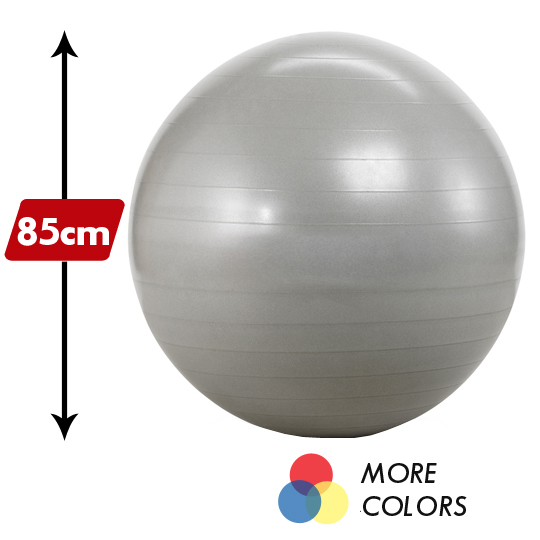 Our yoga balls are made from a durable vinyl, and are designed to support up to 600 pounds of pressure. The balls are shipped deflated, and can be inflated quickly and easily with a ball pump. Physical therapists and dancers use physio exercise balls in a variety of movements. Used in both yoga and Pilates, these air-filled balls give support in poses such as back bends, hip openers and restorative poses. You're gonna need something good to pump this up with. Took us awhile to do so but totally worth it. Love this ball! I have used other exercise balls, but this one is the best. I like the very elastic feel of it, and it is great fun to use. It really helps you feel toned and strengthened, along with just the great fun of it. I think everyone should have one! Works great! Really enjoying it.